Looking for something to do this weekend or next week? Visit the June program page for ideas! If you are planning ahead, the July page is now available as well. The Railroad Museum of PA is among 20 nominees for USA Today's 10 Best Transportation Museums in the country. There is stiff competition, so please vote for RMP! Commas always make a difference, but in this case I think either reading of this week's title reflects the content. The annual Brews and Bites event at Pennsbury Manor features craft beers from a wide variety of local breweries and samples from the site's own brewing program, which recreates 17th-century beer varieties. This year, the event also featured cider from Blackledge Winery that was created using a recipe belonging to William Penn's first wife, Gulielma Springett Penn (read more about it in an article on LevittownNow.com). The site partnered with Blackledge and cider maker Mark Turdo to produce "Penn's 74" (the recipe dates from 1674), which Turdo describes in the article as different from other ciders in its use of cinnamon, nutmeg, and mace. Sounds wonderful. If you missed Brews and Bites, you can catch Pennsbury's brewers this Sunday afternoon (6/26) making a batch of Coriander Pepper Beer (included in regular admission, 1-4 pm). Earlier this week, the State Museum hosted a lunchtime presentation by Valerie Frey, talking about preserving and interpreting family recipes and the history they convey. Frey also signed copies of her book, Preserving Family Recipes: How to Save and Celebrate Your Food Tradition. You can find more info and images on the State Museum's Twitter feed and there's a very informative interview with Frey (with photos AND recipes) in the Columbia (MO) Tribune online. 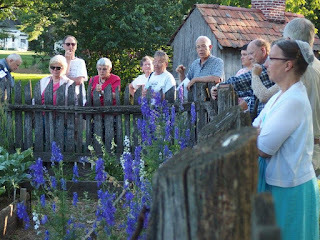 Ephrata Cloister shared photos on Facebook of a recent visit to the site by scholar Jeff Bach, who has conducted and presented (recently in collaboration with site staff) vast amounts of research about the community at Ephrata, and Chris Herbert, a doctoral candidate at The Juilliard School in NYC. Bach and Herbert were on site to take a look at music manuscripts that Herbert is interested in researching. According the FB post, Herbert is already familiar with many of the rules of composition that Ephrata founder Conrad Beissel would have followed (or not), and will be able to further analyze Beissel's work. If you haven't seen it already, the summer 2016 issue of Pennsylvania Heritage magazine features an interview with John Oates (yes, as in Hall and Oates), who grew up in North Wales, PA. The article by Chris Epting, "Good Road Followed...from Metro Philly to Rock Hall," includes a wonderful selection of photos (most provided by Oates). Once you get past the part about your late teens and early 20s being considered "historical" (maybe it's just me), it's lots of fun. And he still has a great head of hair. (If you're not a member of the Pennsylvania Heritage Foundation, you can join or you can buy the magazine through ShopPAHeritage.com. 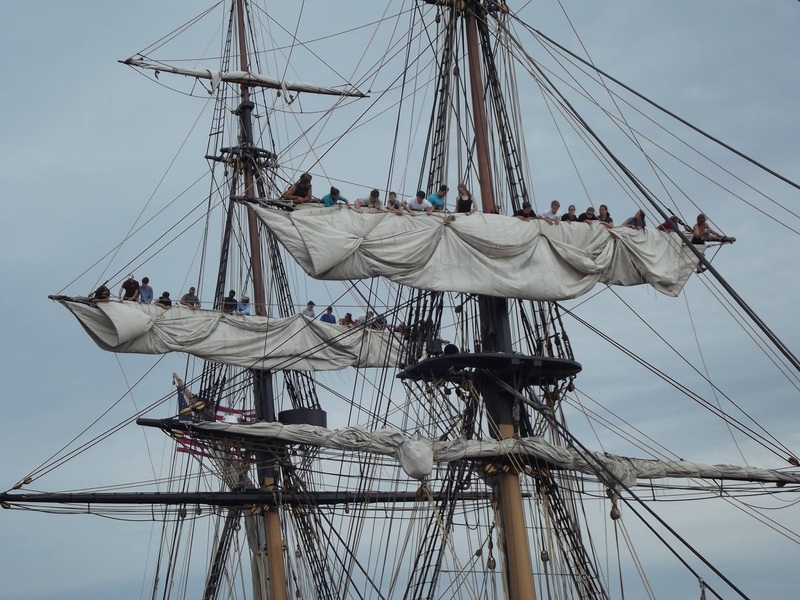 The US Brig Niagara (homeport Erie Maritime Museum) posted photos from their current program for high school trainees, "Exploring the Great Lakes I." The students are from all over the country and are learning sailing skills and how to work as a team. Ahem. An article in the Washington Post yesterday (6/23) followed up on the National History Day contest that took place last week at the Univ. of Maryland. 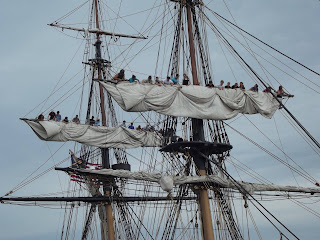 As a former state history day coordinator (back in the last century) and as a judge at the state level (for longer than the students onboard Niagara have been alive but not as long as Hall and Oates have been together), I can say that I have seen historical work of exceptional depth and quality from students as young as 6th grade. 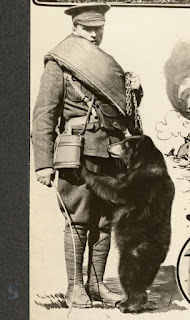 If you'd like to help nurture a love of historical research and presentation but aren't already involved with National History Day, there are contests at many levels, from school-based up to national, and many ways to help (mostly by judging). Check out National History Day in PA on Facebook for contact information. Shelley Bernstein, who headed up digital initiatives at the Brooklyn Museum for a number of years and has recently moved into the same role at The Barnes Foundation in Philly, recently wrote about her new job and the feeling of trying to "change the tires on a moving truck." Although she is talking primarily about digital initiatives in museums, I think her post (read it on Medium.com) may resonate with anyone looking at the changing role of museums (or other institution) and our need to maintain our mission while responding to new and varying audiences. I just saw a post from Colonial Williamsburg offering visitors some tips on talking to costumed interpreters (especially those who are in first person). Now, I've worked in the museum field for more than 30 years (including a summer in costume--but not in character--at CW) but I still sometimes feel uncomfortable talking to first-person interpreters. Share if you find these helpful. Bonus points for anyone who kept track of how many times I've referred to my age in this post. Yikes!! Where would I be without Facebook? There's always a lot of activity on the PHMC's Trails of History. We have regular operating hours with guided tours and "free range" visitor experiences. We have special events and public programs (see the June program page, for example). I've highlighted a few of these below, in addition to some things that don't really fit into an easy category. But I thought you might be interested, if you haven't already run across them. 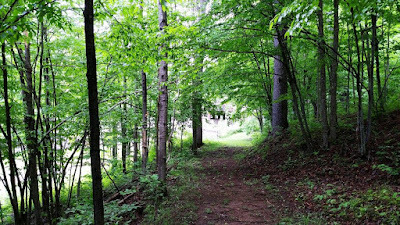 To entice all you hikers and walkers, the Pennsylvania Lumber Museum posted photos of trails on the museum grounds and adjacent Susquehannock State Forest. If you go, don't forget to check out the Visitor Center, Logging Camp, Sawmill, and other great venues on the site as well. And remember that the annual Bark Peelers' Festival is coming up July 2-3. Somerset Historical Center is hosting an exhibit of winning entries in the Laurel Highlands Photography Club's 2016 contest. An opening reception was held earlier this week, where the winning entries were revealed. Entries were submitted by amateur and professional photographers in about a dozen categories (you can find the list on the club's Facebook page). The exhibit will be up through June 28. If you're planning to attend Brews and Bites at Pennsbury Manor tomorrow evening, June 18 (tickets are still available by phone), you'll have a chance to taste a bit of the 17th century. In addition to a wide array of local brews, you can sample cider made from a recipe belonging to Gulielma Springett Penn, William's first wife. 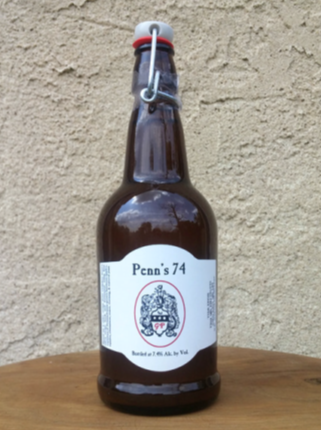 "Penn's 74" is made by Blackledge Winery. You can also sample site-brewed beer based on 17th-century recipes (brewing demos are offered on Sunday afternoons through much of the year, but you normally don't get to sample the product). 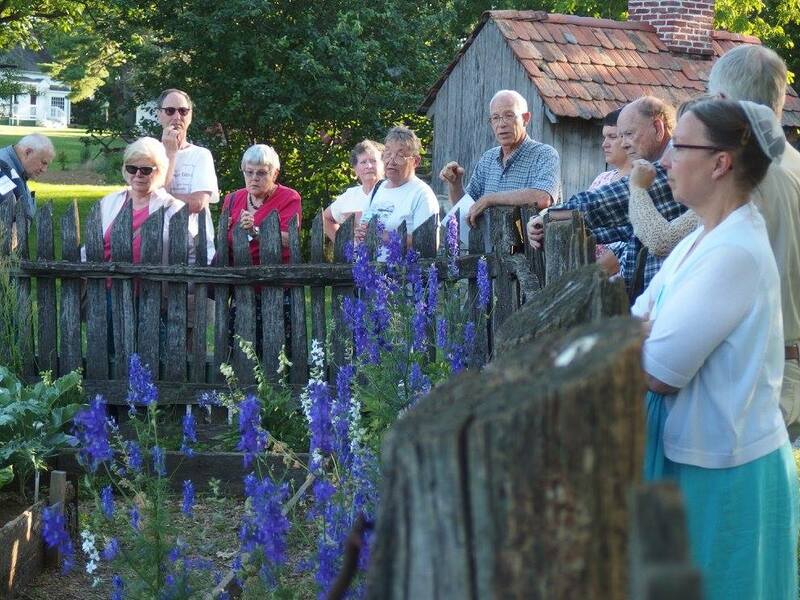 Earlier this week, as part of Landis Valley Village and Farm Museum's Summer Institute, volunteer Bob Goodhart (in short-sleeved plaid shirt) led a tour of the kitchen gardens on a lovely summer evening. Check out Landis Valley's Facebook page for more photos of Summer Institute activities. On Wednesday, June 22, The State Museum of PA will host a lunchtime talk by author and archivist Valerie Frey, who will share her insights on preserving family recipes and analyzing the history found in them. She will also sign copies of her book, Preserving Family Recipes: How to Save and Celebrate Your Food Traditions. The program is part of the Museum's "Learn at Lunchtime" series (included in general admission) and will take place in Village Square from noon to 1 pm. Members of the 2016 class of Leadership Lebanon Valley toured Cornwall Iron Furnace this week to learn more about the history of the region. In the photo above, board member Sue Dieffenbach (left of photo near the great wheel) explains how air was blown into the furnace to help it reach the temps necessary for producing iron. And finally, a public service announcement. The Railroad Museum of Pennsylvania, in cooperation with the Central Pennsylvania Blood Bank, will host a community blood drive next Friday, June 24, from 10 am to 4 pm. All blood types are needed; generally anyone 16 or older, weighing at least 110 pounds, and in good health can donate (more details). As a thank you, blood donors will receive a coupon for a donut from Sugar on Top bakery in Strasburg (good thru 7/31/16) and a free adult admission to the Railroad Museum (good thru 12/31/16). Please consider donating if you can. UPDATE: I just saw that donors also get a free adult admission to the Choo Choo Barn, which is just up the road from the museum. Psst!! Over here. You look like someone who appreciates the finer things in life. 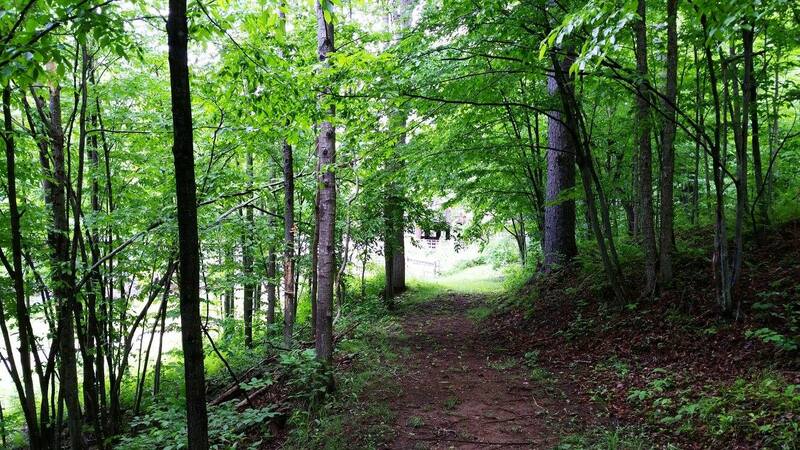 Check out this list of programs on the PHMC's Trails of History. LancasterOnline put together a nice visual to go along with their article on the weathervane exhibit at Landis Valley Village and Farm Museum. I had a chance to see the exhibit a couple of weeks ago and highly recommend it. In a recent article in Somerset's Daily American, Mark Ware shares his memories of maple sugaring and talks about current programs keeping the public informed about the county's maple industry. Ware is director of the Historical and Genealogical Society of Somerset County, PHMC's partner organization in the management and operation of the Somerset Historical Center. The article features photos of the recreated maple sugar camp at the center. "You know you're getting old when a locomotive that has hauled passenger trains on which you've ridden as an adult winds up in a museum." So states William C. Vantuono, editor-in-chief of Railway Age, in a May 27 post about the Amtrak AEM-7 locomotive now in the collection of and on exhibit at the Railroad Museum of PA. I hear you, dude. As a commuter between Lancaster County and Harrisburg the past 6 years, I have ridden behind "toasters" before they were replaced with the sleek new "Cities Sprinter." You can see the AEM-7 and many other locomotives and railroad cars at the museum, along with this year's special exhibit, "Safety First: The Evolution of Railroading Safety Practices." Eckley Miners' Village shared some charming student artwork on their Facebook page recently, the result of school group visits to the site. They also shared some aerial footage of the site, taken by Dave Edwards in accordance with PHMC's unmanned aerial vehicle policy. And one final item. 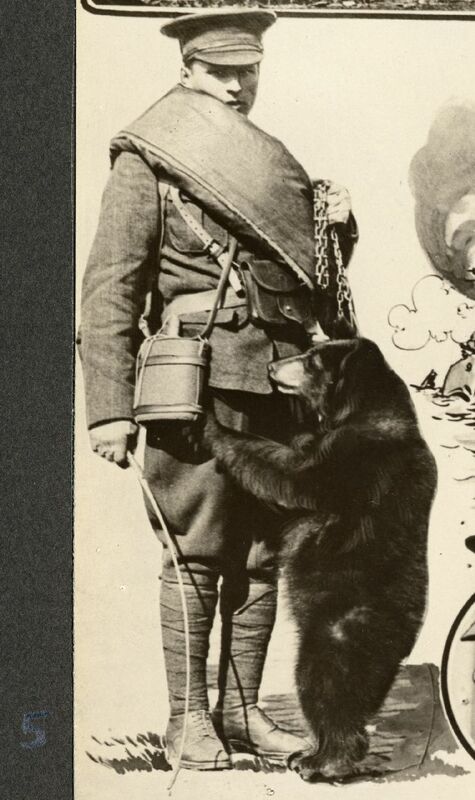 What does Winnie the Pooh, that silly old bear, have to do with World War I? Find out at a lecture and film showing at the PA Military Museum this Saturday, June 11, at 1:30 pm. If you're looking for something to do this weekend or in the coming weeks, visit the June program page for ideas. So if you're "of a certain age," the title of this post will have provided you with today's ear worm. Just one of the services we offer here at Trailheads. Although we don't have sleepaway camps, there are plenty of single-day and multi-day summer camps on the Trails of History. 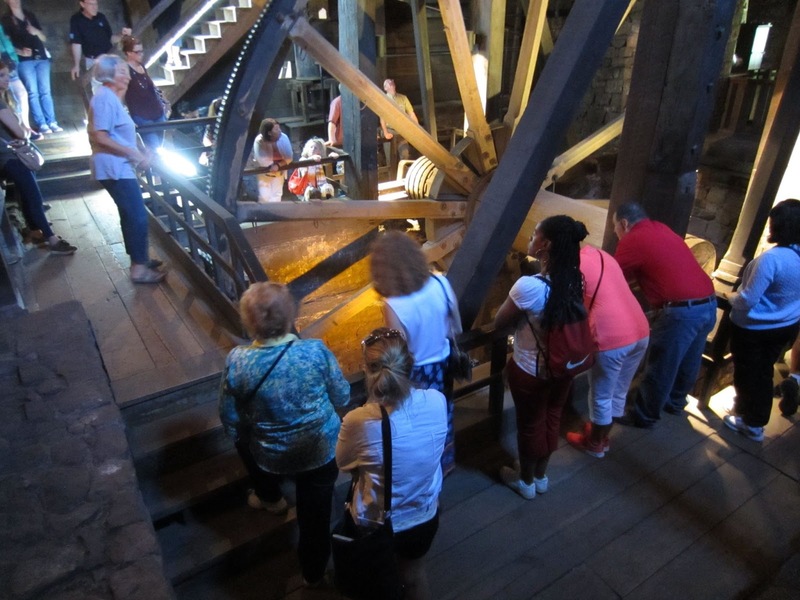 There are also weekend and evening programs throughout the summer designed to be family-friendly (there are also programs just for grown-ups, if that's more your style). Registration deadlines are coming up for many of these camps, so please don't wait to contact sites (info is up-to-date as of June 2, based on individual websites).